The first weekend in February features a pair of important games for the Halifax Mooseheads. 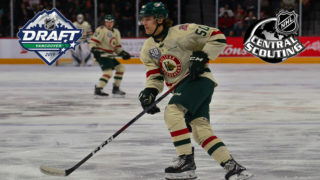 The division-leading Mooseheads travel to Moncton to face off with the Wildcats on Friday night at 7pm before returning home to battle the second place Acadie-Bathurst Titan on Saturday night at 7pm. The rivalry with both teams has been epic this season for members of Halifax’s 32-11-5-1 team. Let’s start with the season series against Moncton. 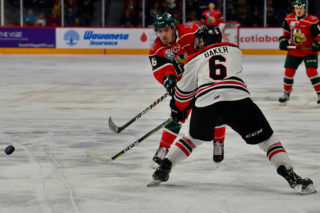 The Mooseheads have gone 4-1-1 in the six meetings against the team they are going head-to-head with for the 2019 Mastercard Memorial Cup hosting rights. Those games have been extremely entertaining and close battles so far with five of them being decided by just one goal and the last three contests all ending in 4-3 overtime decisions. Halifax has had the upper hand over the last two seasons against Moncton by holding an 11-3-1 record since the start of the 2016-17 season. 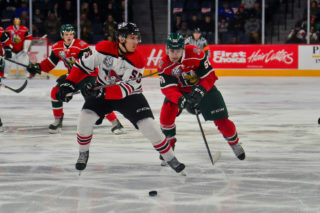 The Wildcats are not where they expected to be in the standings a mere two months from the announcement for the host city for the 2019 Mastercard Memorial Cup. The Cats have cooled off after a good start to the year and sit 13th overall in the QMJHL with a 21-21-5-3 record. That puts them fifth in the six-team Maritimes Division. 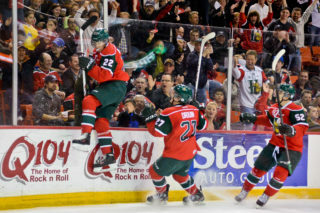 Friday’s matchup will also be the final time the Mooseheads will play on the Moncton Coliseum ice during the regular season. Moncton’s new downtown arena will be open in time for the start of the 2018-19 season. Listen to the game live on News 95.7 with Garreth MacDonald by clicking here. 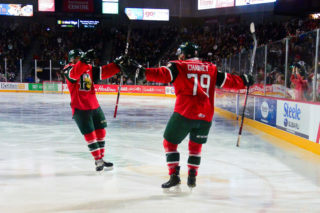 All signs point to Saturday’s game between the Mooseheads and Titan at Scotiabank Centre being electric. Halifax enters the weekend six points ahead of Bathurst (28-13-6-2) in the division but it’s not just a meeting of two teams fighting for the division crown. This is as much a statement game as there has been for the Herd this year. The Mooseheads are looking to redeem themselves after an embarrassing 11-1 loss at the K.C. Irving Regional Centre two weeks ago. The Moose also lost Filip Zadina to a two-game suspension following his collision with Titan goalie Evan Fitzpatrick. Tensions will be high and the fans will be hoping for an excellent bounce back response from their team. Halifax and Bathurst are an even 3-3 vs each other this season with plenty on the line in this game. This is a must see for hockey fans in Moose Country. Tickets are on sale now at the Ticket Atlantic Box Office, select Superstore Outlets, TicketAtlantic.com, the Official Mooseheads Shop in Scotia Square or call 451-1221.